Law or legal science is a lucrative career options these days. People tend to take up legal studies as it provides various scopes. Previously, the only option that was available for the lawyers was private practice. But presently, due to the emergence of various law firms, corporate houses and specifically variety in course curriculum and subjects, different sectors such as banking and insurance offer lucrative jobs for the law graduates. The integrated BBA-LLB program is aimed at training corporate lawyers who understand the intestacies of business along with the law governing the same. Special understanding of the business law such as banking, corporate laws, taxation, competition, investment, insurance, merger and acquisitions are imparted throughout this course. The Course further includes understanding in finance, human resource management, marketing, international business which help a student to obtain the required skills of a corporate lawyer. JIS University offers various contemporary papers in legal sciences along with the compulsory papers offered by the Bar Council of India (BCI). The course structure is designed in such a way that the student will go through an overall development that is essential to build a successful career in the legal arena. 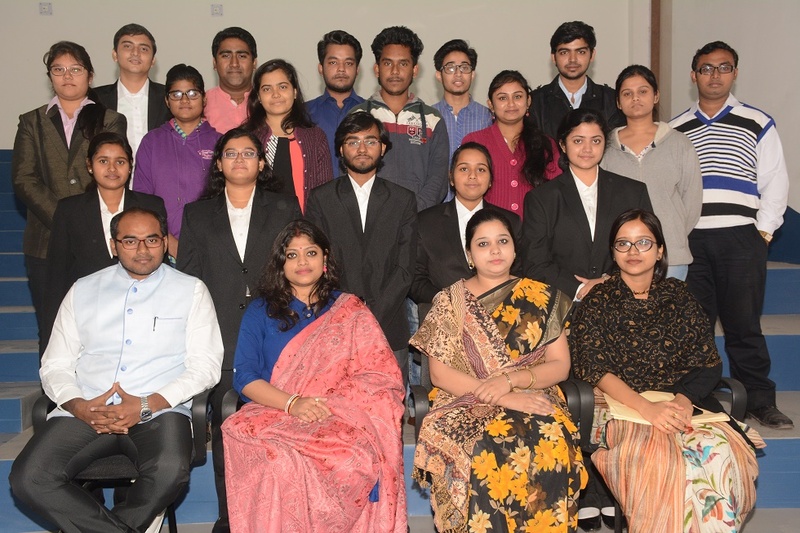 Regular Moot Courts, debates, seminar, court visits, lok adalats and legal aid camps organized by the department of legal sciences adds to the legal skill development of the law aspirants. Apart from the skill developments programs, the University organizes class test from time to time, conducts mid-term examination and gives assignments to the students which include projects so that the students are well acquainted with the subjects. The law programs at JIS University are aimed at offering the strong foundation focusing on in-depth study of law and legislature. The university offers various undergraduate, postgraduate and integrated courses in law and related subjects. Those looking for the best BBA LLB colleges in Kolkata must have a look at the courses offered by JIS University. The programs offered by the university provide comprehensive knowledge on various subjects across specialist areas to deepen the understanding of students in general as well as specialized areas of law. The programs offered by JIS are brilliantly designed to encourage students to explore different approaches in a varying manner in which law is conceived and legal processes are perceived. The university is also ranked among the top private law colleges in Kolkata for its brilliantly designed law programs. In addition to theoretical knowledge and student discussions, the programs offered at JIS University also include workshops, fellowships, guest lectures, internships and social activities. Previously, the only option that was available for the lawyers was private practice. But, today due to the emergence of various law firms, corporate houses and the variety in different course curriculum and subjects, different sectors like banking and insurance also offer amazing and lucrative job opportunities to the law graduates. JIS University offers various contemporary papers and legal sciences along with the compulsory papers offered by the Bar Council of India. We are one of the best law colleges in Kolkata that expose the students to the law-in-action through the compulsory internships. Amazing opportunities are provided to the students to work in coordination with the practicing lawyers in court. Regular moot courts, seminar, debates, Lok Adalat and legal aid camps are also organized regularly for the skill development of the law aspirant. Eligibility: Minimum 45%* marks in 10+2 in any discipline. Maximum age limit is 20 years [22 years for SC / ST / OBC / Specially Abled Persons (SAP) category candidates]. 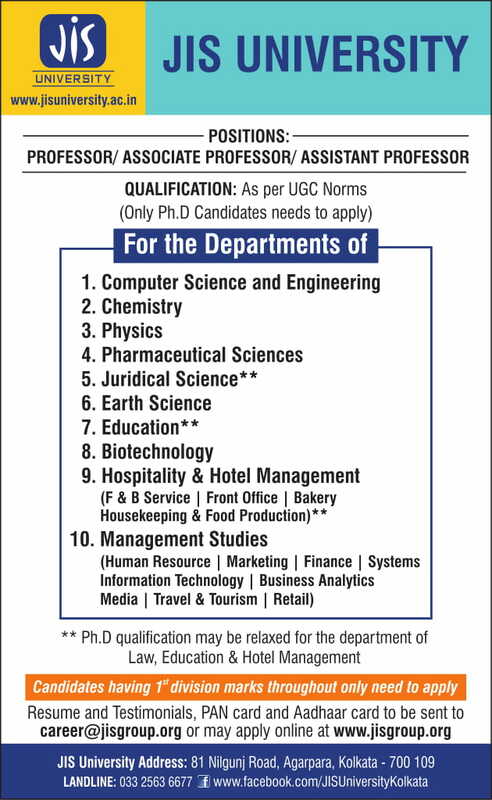 Eligibility: Minimum 45%* marks in degree course in any discipline. Maximum age limit is 30 years [35 years in case of SC / ST / OBC / Specially-Abled Persons (SAP) category candidates]. Eligibility: Candidates should have 55% marks or above in LLB exams (either a five year Integrated or a three year law programme) from an institution approved by BCI .50% marks or above in LLB exams for SC/ST category. There is no age bar. The University is equipped with a moot court hall where regular memo presentations and moots take place. The University has its very own online Legal aid cell with teachers and students of the department as its active members reaching out to the needy. Retired Justices of Hon’ble High Courts in India, Eminent practicing lawyers/Advocates/standing counsels and various other legal practitioners from various courts in Kolkata and beyond grace the University with their presence from time to time. Reputed Academicians from renowned and premiere law institutes in India and Kolkata pay regular visit and also come down as externals in various seminars, talks, lectures and moots. For an intrinsic development of a legal aspirant, it is essential that books become a guide in their journey. The institution provides a wide range of books ranging from Indian authors to foreign authors. Journals, periodicals, law magazines, case reports, manuals, Bare Acts and many more such materials enrich the library. After the successful completion of the Course, one can enlist in the State Bar Council roll and there after qualify in the All Indian Bar Council Examination. Then one can independently practice law in any Court in India. 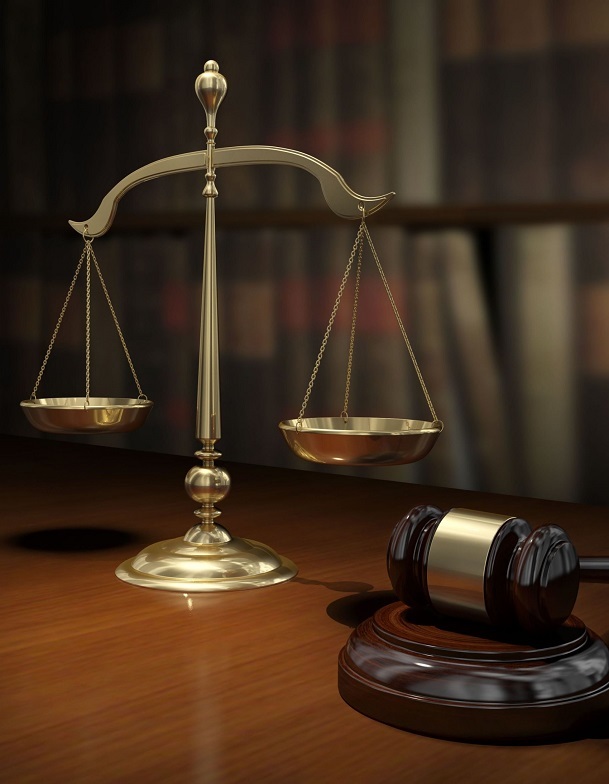 The individual can go for practice in several other administrative Tribunals and Courts. A student can also apply for several jobs both in the governmental as well as non-governmental organizations. The jobs in government sector include judicial services, law officers, public prosecutors, assistant prosecutor, law clerks and legal officers in baking as well as insurance sector. Non- governmental jobs include law firms, drafting and conveyancing , corporate houses, jobs in private banks and non-banking financial institutions, legal research, legal content writing, legal publishing, legal process outsourcing and legal consultation. Students interested in higher studies may pursue LLM (Masters in law), Ph.D. and LLD both in India as well as in abroad. Research makes up one of the most important part of the legal educational system and thus the institution and the professors in general make it a point to inculcate the need of research in immaculate procedures.